A reptile is a cold-blooded animal covered in scales. 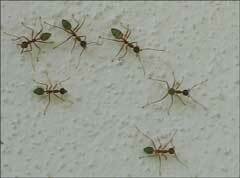 Their body temperature depends on the temperature of their environment. Reptiles lay eggs. For example, a snake is a reptile because its blood is cold and it has scales covering its body. Cold-bloodied means an animal keeps warm by ‘taking in’ heat from the sun, warm water or air. The bodies of these animals can’t keep them warm. An amphibian is an animal that is born in the water with gills, but as it grows up, it develops lungs and can live on land. These are cold-blooded animals; their body temperature depends on the temperature of their environment. 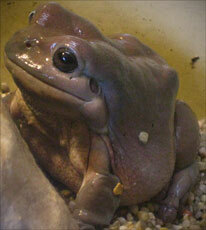 Amphibians lay eggs. Amphibians include frogs, toads, newts, salamanders and caecilians. Caecilians are like earthworms or snakes, but they have smooth skin with ringed sections. An arthropod is an animal whose skeleton is on the outside of its body. This is called an exoskeleton. Arthropods have more than four legs and their bodies are segmented into different parts. Arthropods lay eggs. Some of the most common arthropods are butterflies, bees, flies, spiders, ants, beetles, scorpions, shrimp and crabs.